Hi all, me again! I've finally found some time to blog so I'm running with it today! This type of post is one that I'm hoping to make a weekly thing so there's always something going on. It might feature a product I'm loving or loathing or something completely different. But today I'm afraid it's something I am really disappointed with. 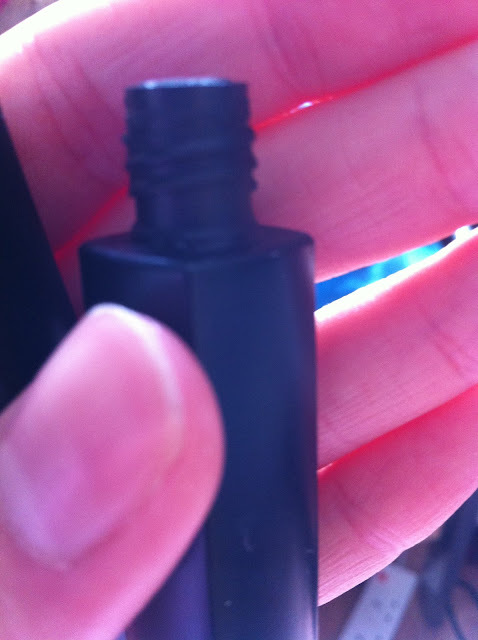 When the mercury is on the rise, I always use a waterproof mascara, purely because their staying power is supposed to be better than regular mascara. 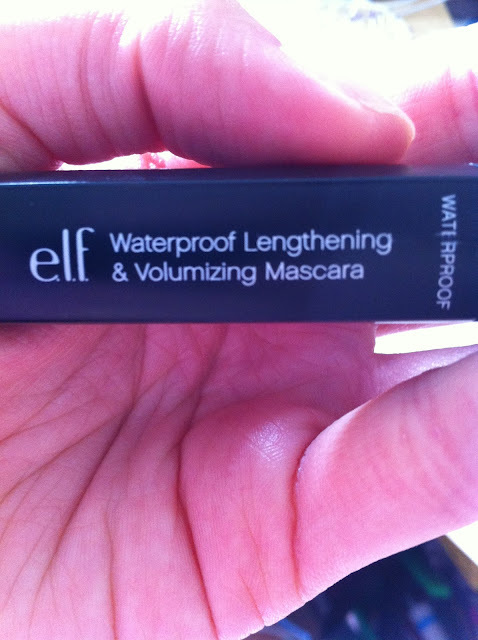 With that in mind, I applied some of E.L.F's Waterproof Lengthening and Volumising Mascara which you can purchase here for £3.75. The blurb is so full of promise. 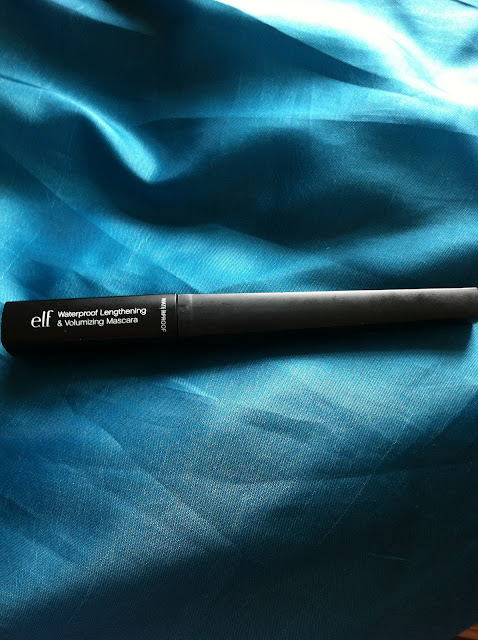 E.L.F say this mascara is, 'clump free and quick drying so you can have color that stays on all day with no smudging and no flaking. Waterproof, tear-proof and sweat proof for a look that lasts against all odds. I must say, I beg to differ. It flakes like crazy and is definitely not sweat proof. After a 2 mile run I had Panda eyes to rival a Panda; not a good look. 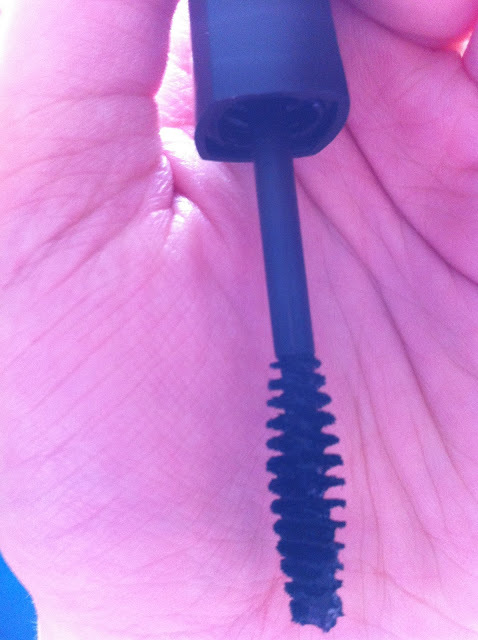 With regards to the waterproof claims, I'm under no impression that this mascara won't budge at all as what goes on must come off eventually. But for this to come off after a few light splashes in the shower is a bit disappointing. And it's not like it smudged slightly, it was coming off like tubes straight off the lashes. Formula aside, there isn't really much I like about this product. The packaging leaves much to be desired as it's all handle no product; the brush is so basic and it just feels and looks cheap. So as you can see, it's super basic and I personally wouldn't recommend it to anyone. But that's not to say it might not work for you, it just doesn't work for me. I'd be keen to know if any of you have had a different experience with this product as I so desperately wanted to enjoy it.